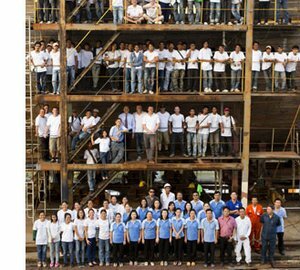 The 138′ luxury sailing catamaran DOUCE FRANCE has recently arrived in the exotic South East Asian country Indonesia. 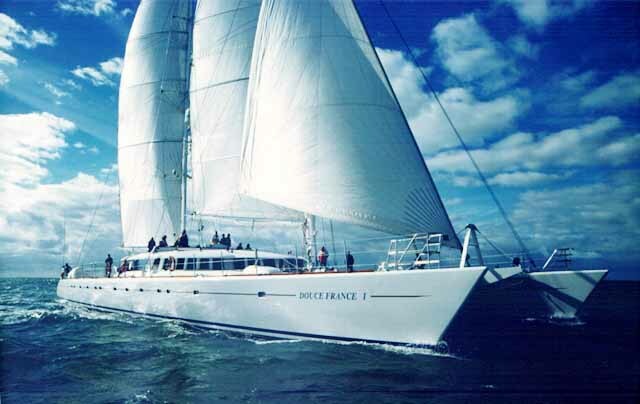 DOUCE FRANCE is to remain in Indonesia until July 2010 and is she is currently available for luxury yacht charters in this fascinating and rare cruising ground. The ports of Sorong or Manado will be an ideal place to pick up the yacht and explore some of the most beautiful sailing areas in the world. After Indonesia yacht DOUCE FRANCE heads to Micronesia where she is also available for charters from August right through to November. DOUCE FRANCE is a large sailing yacht by any measure and she provides comfort and style for up to 12 yacht charter guests. 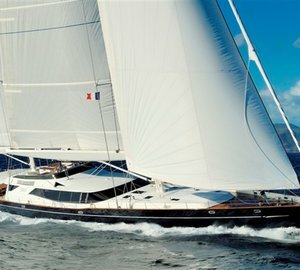 She is a famous charter yacht created as a result good yacht design and a construction of by the finest craftsmen. DOUCE FRANCE is a huge catamaran giving her fantastic deck and interior space as well as fast cruising speeds. In Indonesia, for instance, the island of Lombok, Sumbawa, Komodos, Flores, the Mollucas and Irian Jaya, (West Papua) make all of which make for enchanting adventures. 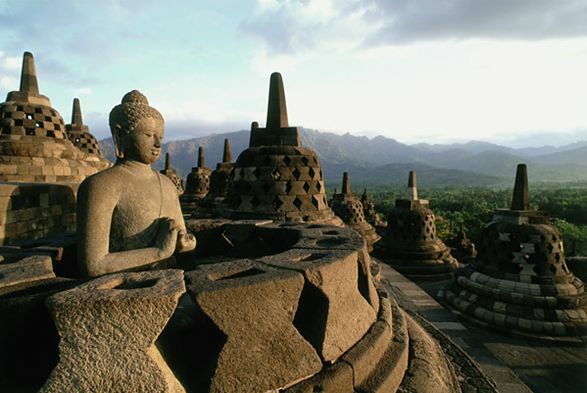 Cruising areas of interest in Indonesia include the Lesser Sunda Islands which boast immense natural and cultural diversity. You can track through ancient spice routes or follow the voyages of Captain Cook. Natural wonders include towering active volcanoes, jungle-clad mountain ranges, dry savannah, teeming with wildlife like komodo dragons, and beautiful emerald seas and a world of kaleidoscopic beauty under water for divers and snorkelers. The cultural highlights include quiet coastal villages megalithic cultures, colorful market places, tribal rituals and architecture. 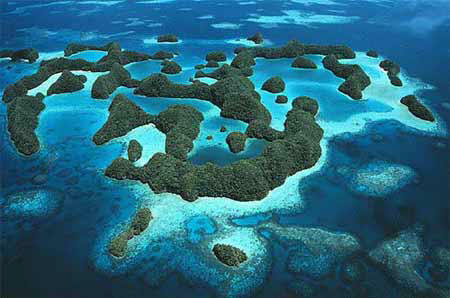 Micronesia, located in the western Pacific Ocean is a natural wonderland being extremely remote and untouched. It is one of the important natural beauties of the world with thousands of tropical islands, lagoons and reefs. Ideal for diving, surfing, kayaking, fishing, exploring and relaxing, this special place does indeed offer a rare adventure. 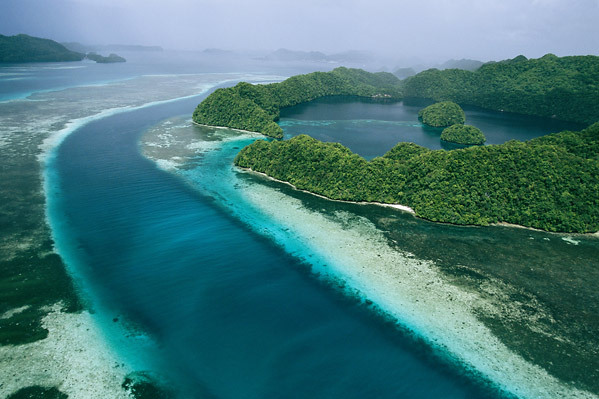 In Palau alone (pictured) there are over 100 different world class dive sites, holding amazing tropical fish and reef structures, in and around the 90 mile coral lagoon and adjacent islands. It is not often that DOUCE FRANCE, one of the largest professionally crewed luxury sailing catamarans in the world, is ready and waiting in such unusual, exotic and remote charter locations as Indonesia or Micronesia, so contact the CharterWorld team if you are be interested in the holiday of a lifetime. 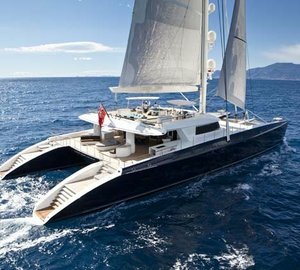 Please contact CharterWorld - the luxury yacht charter specialist - for more on superyacht news item "Luxury Catamaran DOUCE FRANCE Available for Exotic & Rare Indonesia & Micronesia Luxury Yacht Charters".